while learning good, defensive driving skills. Your Driver Training Is just a click away! North Edmonton and West Edmonton (including Starling). The class 5 GDL classroom is now online. Take it anytime! Students who practice 2 hrs between lessons may complete the in-car training in 2 weeks. We suggest students aim to complete their driver training in 3-4 weeks (but we're flexible). We try to have students start in-car training within a few wks of registering for the online class option. We also try to have all lessons with the same instructor. 15 hrs Classroom & at least 10 hrs of in-car instruction. Same as above but with at least 14 hrs of in-car instruction for the student with little experience and a lot of anxiety. Same as above but with at least 16 hrs of in-car instruction for the parent who is too anxious to practice much with the student between driving lessons. Usually, a single 2 hr lesson to refresh the student for a test or upgraded license. Based on your needs and worked out with our office. **Add $30.00 to these prices if you want to take the class portion "online"
You can book a "brush up" lesson before your road test, whether you took driving lessons with us or not. Students who completed driver training like to take a "brush up" just before the GDL or full licensing road test. This polishes "best practices" for the road test. Mature adults also take a "brush up" lesson or two before facing a driving test. We provide you the workbooks & reference material needed for our 15 hour in-class session. Our classes usually run for two eight hour days. We normally have at least one classroom session each month, so call 780-458-7288 early to get a spot ! Split payments or get the full meal deal! Call us to work out the most cost-effective plan that suits your needs. We can provide your an array of solutions to help you become a safe, competent and defensive driver as cost effectively as possible. Review it with the student before they start their lessons. Expect a delay of at least two weeks for driving lessons if you sign up for the online class program. Once the student is registered, we'll send you resources from Alberta Transportation that reinforces what the driving instructor is teaching.Using the material while practicing with the student between lessons makes for faster learning. It also makes for a much better defensive driver. Some advice from Mike at Drive Safe Ride Safe about coaching your driving student. How Parents can Help from Richard Pougnet on Vimeo. Office staff are fully aware of the issues you face to become a qualified driver set out by Alberta Transportation. They can answer your questions & design the program that best suits your needs. Classroom staff are licensed by Alberta Transportation to provide an approved 15-hour classroom program. The instructor will administer the Alberta Transportation written test at the end of the class. In-car instructors are fully licensed to provide in-car lessons as prescribed by Alberta Transportation. 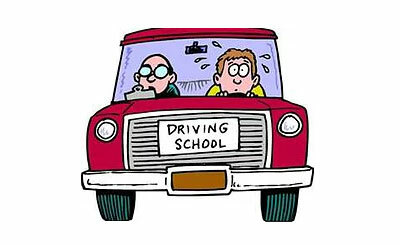 Each instructor has an average of over thirty years of driving to help you focus on good defensive driving skills. Licensed auto mechanic loves cars! Has been a driving instructor since 2010. From the country that gave us Tango. He's been a driving instructor since 2008. She's been teaching driving since 1975. Linda's taught half the teens in town how to drive & now she's teaching the next generation good driving skills! A licensed glider pilot has been teaching driver education since 2009. Richard loves teaching people defensive driving skills. Youngest instructor has teens at home and understands how they think. Has been teaching driver education since 1999 and has an in=depth knowledge of defensive driving. A very patient instructor that is be able to coax the best from his students. Our newest instructor with a strong motivation to help students become the best driver they can be. of Driver Education experience behind the wheel. Each student is assigned to only one instructor for their in-car lessons. This ensures consistent application of learned material and assessment of student progress. Alberta Transportation approved classroom and in-car driver training. Students get the knowledge/skills to be a competent and safe driver. We aim to make you a better than average driver at a reasonable cost. Office staff will answer your questions & design a program to meet your needs. We have a number of instructors (men and women) to provide in-car lessons consistent with your schedule. We participate in the Alberta Transportation insurance reduction program. This includes 15 hours of classroom training followed by a written test and at least 10 hours of in-car training and assessment. Instructors are fully qualified to ensure you have everything you need to know about cars and driving competently/defensively on the road. 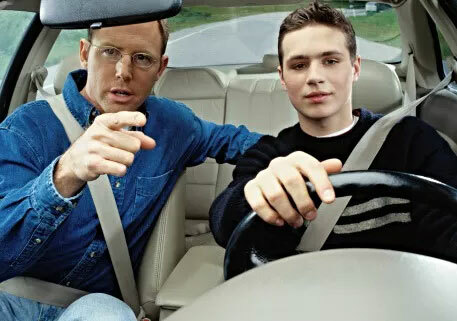 Parents who practice with the student between driving lessons makes for a better than average teen driver. The instructor I had is really good like I would never ever expected to pass my license for the first time but because he is such a good teacher, I passed it, thank you 🙂 and the office staff are very friendly and nice. The drivers training made me very confident in my driving. The class work was important, but the in-car made me so prepared for my exam. Thanks for the good work, both of my children are graduates of a Northern Lights program and better drivers for it. The driver instructor was awesome... he did a great job getting me ready (for my road test). I passed first time. Yay. The instructor made our daughter's driving experience a real pleasure. She thoroughly enjoyed her time with him. As parents, we really appreciate his patience, knowledge and kind manner. Will be booking our 2nd daughter in next year. Thanks again. Our son really enjoyed the in-car training and driving and mentioned he would trade a little less class time for more in-car driving instruction. A special thanks to his instructor! Wonderful experience in class and in car. Great amount of knowledge and training provided that built my confidence as a driver. Will recommend Northern Lights Drivers Training to others.